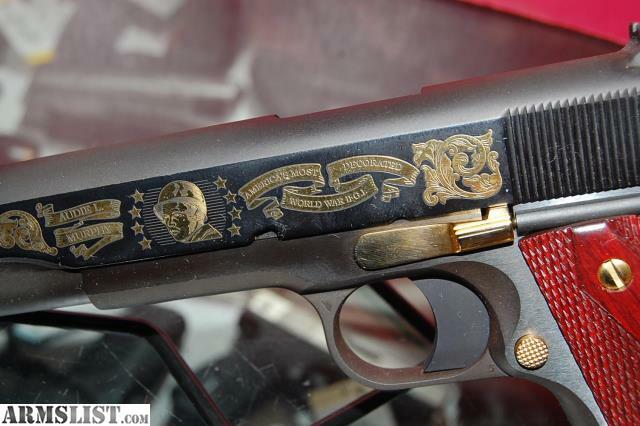 Colt Government Model .45, with the solid, hand-filling heft that veterans will remember from their tour of duty. 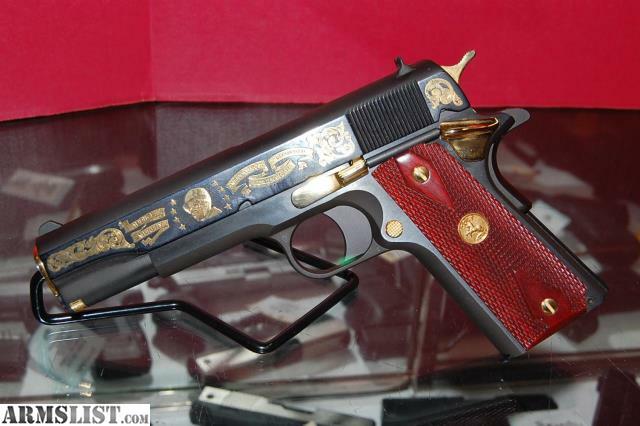 This pistol has the traditional standard military parkerized finish on the frame, and fitted with a flat main spring housing in keeping with the original Model 1911. 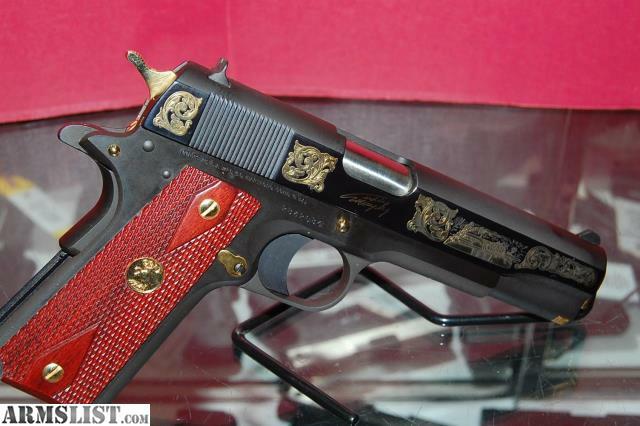 Each pistol is decorated by craftsmen specifically commissioned for this project by America Remembers. The slide is highly polished and embellished in genuine 24-karat gold. The concept and design of the Limited Edition Audie Murphy Tribute .45 has been officially authorized by the family of Audie Murphy, whose invaluable counsel, input, and advice we gratefully a knowledge.